Do you welcome a new home with any of these traditions? It can be very stressful to find a new home, pack up belongings and coordinate a move to a new location. Despite the stress of a move, many of us take the time to ensure that our new home is ready for our family. 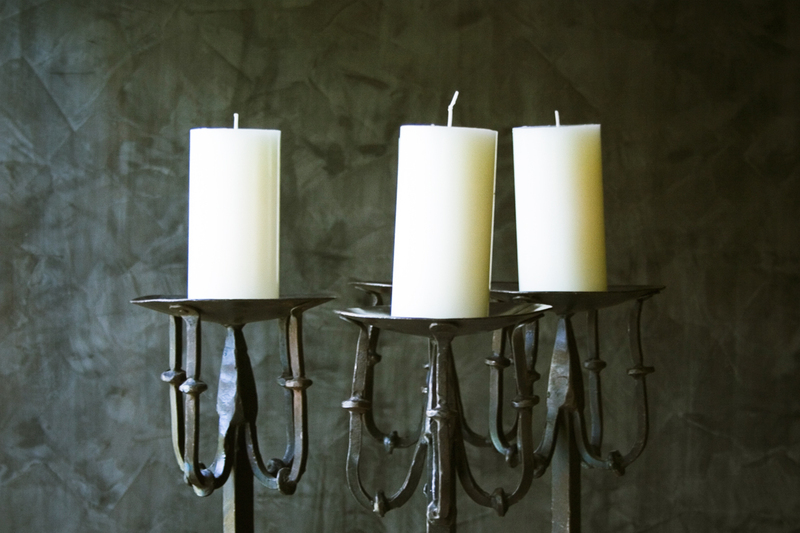 Maybe you’ve lit a candle on the first night in a new home or said a prayer or blessing. Whether you call them traditions, rituals or superstitions, let’s take a look at some common, and perhaps not-so-common, ways people welcome themselves into a new home. If you grew up in the American south you may be familiar with these words. But if you didn’t here’s the scoop: haint blue is the color of paint applied to the ceiling of a front porch. Why? “Haint,” another word for haunt, has its roots steeped in old Gullah traditions (the Gullah were descendants of African slaves and lived in the Lowcountry regions of South Carolina and Georgia). Tradition holds that haint spirits cannot cross water, so painting a home with blue is a symbolic way to keep away bad spirits. Originally, this paint was created by hand mixing pigment with lime to create a paint. Some theorize that the blue color also tricks mosquitos into leaving, as the color looks like the sky. However it was more likely that the lime in the paint actually deterred insects, not the color. It’s not uncommon in the South to see homes painted blue not only on the porch ceiling but around the doors, windows and other details like interior walls and shutters. Is there one particularly color of haint blue? No, it’s more of a range of blues and you can find porches and homes painted with any blue from indigo to sea glass green. A candle can be a great housewarming gift. It is believed that lighting a candle helps ward off evil spirits by adding light into the home and symbolically casting out darkness. In many religions it’s common to light a candle when saying a prayer or as part of an offering. A house “warming” can also mean lighting a fire in the fireplace, which was also an old tradition that has it’s roots in medieval life. Fire is a very strong symbolism for strength, purity, and represents good. Similarly, lighting a candle on the first night in a new home can help bless the home and bring light into a dark space. Possibly derived from Russian Jewish origins, bread and salt represent two very important symbols of hospitality. Some believe that the very first items brought inside a home should be a loaf of bread (so that the inhabitants never know hunger) and salt (to always have a life full of flavor). Bread, a staple at nearly every meal, was a sign of hospitality not just in Jewish tradition but in European tradition as well. Salt, once so valuable it was used as currency, is another important sign of hospitality and wealth. For practicing feng shui homeowners, auspicious rituals and traditions like ringing a Tibetan space clearing bell can help clear each room in the new home of stagnant of or dying chi (si chi). Opening up windows, turning on fans, and letting in the sunlight are other ways to welcome in auspicious feng shui chi, which is what you want in your new home. Traditional moving-in and Buddhist housewarming rituals are plenty and are generally thought to bring good luck and blessings upon the home. In Thai culture, an odd number of monks are invited to the house (even numbers of monks are considered bad luck) for a house blessing, or Khuan Ban Mai ceremony. Presenting gifts and special foods are a usual part of the ceremony, as is tying Sai Seen (holy thread or string) around the wrists of the family members and around the home’s statue of Buddha. Sage smudging, or the burning of dried sage, is a traditional method of clearing out negative energy in a space. Directing the smoke into the corners of a room can clear energy and add protection from negativity. This practice is thought to be derived from Native American traditions (where Salvia apiana, or white sage, is plentiful). According to some practitioners, it’s important to light the sage, gently blow out the flame, and then let it smoke on its own (do not snuff out the lit sage). Place it in a fire safe bowl or container. Aboriginal traditions also encourage covering up mirrors, windows and turning off electronics when performing a sage smudging ceremony in a space. According to Vasthu Sastra Indian tradition, milk and rice are boiled until it overflows the pot, symbolizing purity and long life. There are many Indian housewarming traditions, including bringing a cow inside the home and placing a garland around its neck. In fact, moving into a new home (either rented or purchased) is considered only second in ceremonial importance to that of a wedding, and many acts are performed to bless the home and ward off evil spirits. In old French speaking countries, the changing of the chimney hook (pendaison de crémaillère) signified the start of the housewarming thank-you meal, served to those who helped build the home. The cooking pot would hang from a hook inside the chimney over the fire, and it was the last piece to be put into place when a home was built.